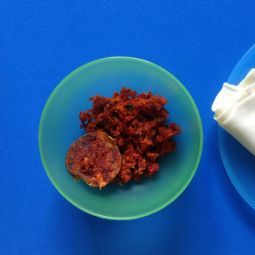 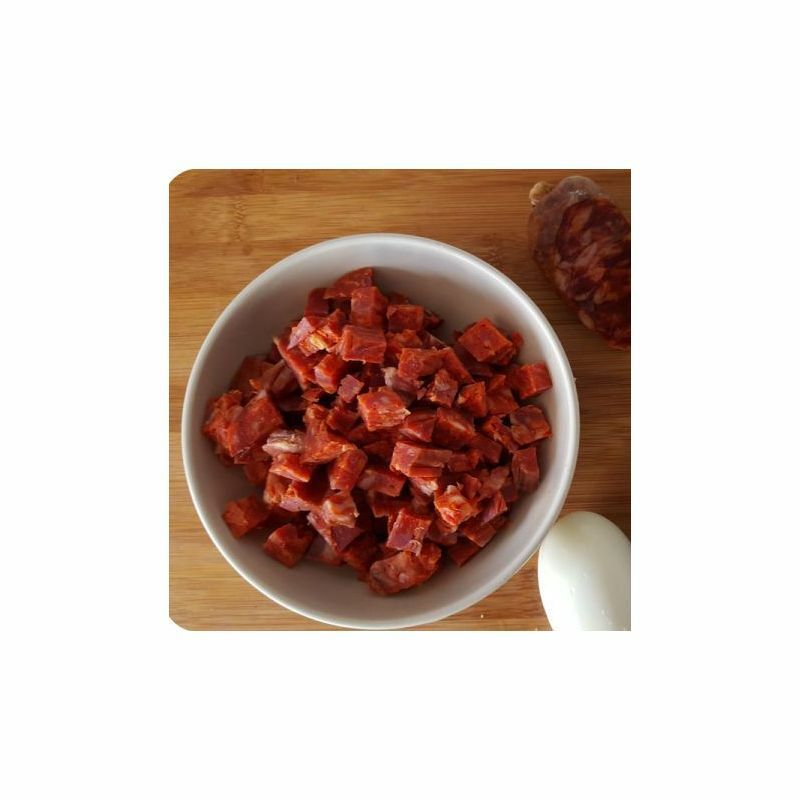 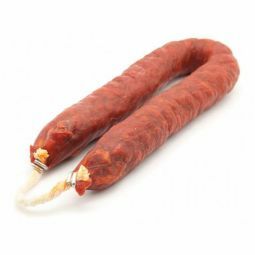 The chopped chorizo ntense reddish colour, the air drying and the juiciness are underlining the refined taste and the characteristic aroma. 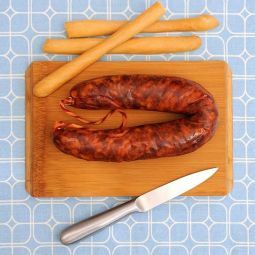 Our chopped Iberian Chorizo comes from the region of Salamanca. 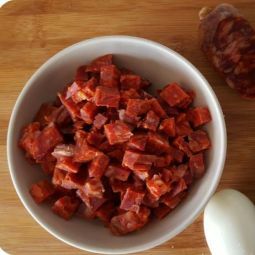 This great product unites all you are expecting from a chorizo: the air drying, the juiciness, the intense reddish colour and the white veins and the refined taste with the characteristic aroma. 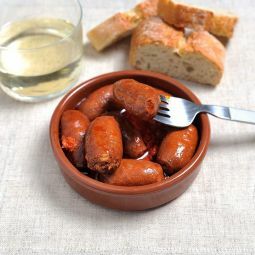 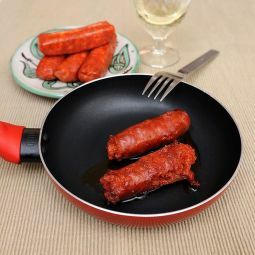 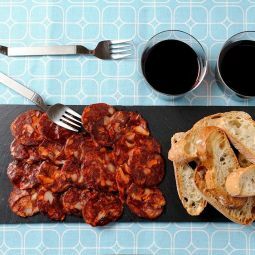 The chopped Iberian Chorizo is traditionally made with the best ingredients. 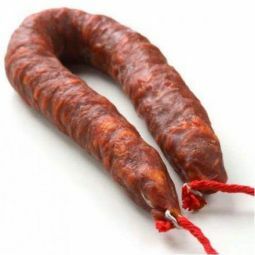 The Iberian breed pigs are raised with natural fed like grass and hay and the pigs run free in the mountains for 2 - 4 months where they feed mainly on acorns. 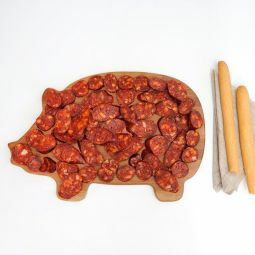 This way of raising the pigs gives their meat the distinction 'bellota' which means acorn and stands for the high quality of the meat. 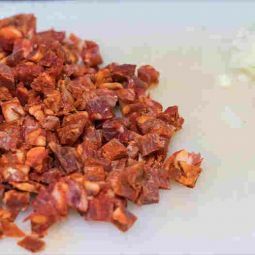 This and the careful elaboration turn our Iberian Chorizo from 'bellota' into an excellent product.